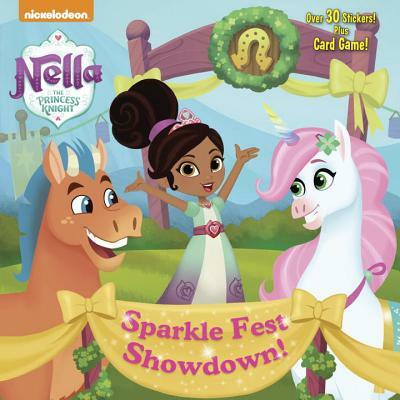 Join Nickelodeon’s Nella the Princess Knight for adventure! Boys and girls ages 3 to 7 will love this full-color storybook, which features a press-out card game and over 30 stickers! Nickelodeon’s Nella the Princess Knight lives in a fairy-tale land filled with dragons, unicorns, and furry friends. With every new journey, Nella proves that little girls can be princesses and knights, pretty and powerful, and fabulous and fierce.